Today’s water resources graduate students are likely the key to developing new domestic and global approaches to water management to address 21st century challenges including scarcity, pollution, asset management, changing climates, and a polarized public. Fresh ideas and the entrepreneurial and collaborative spirit often associated with this next generation of professionals are needed to support an evolving paradigm. Connecting these students to knowledge and experience related to Holistic Management and One Water principles and practices can provide a strong foundation for this transition in leadership. 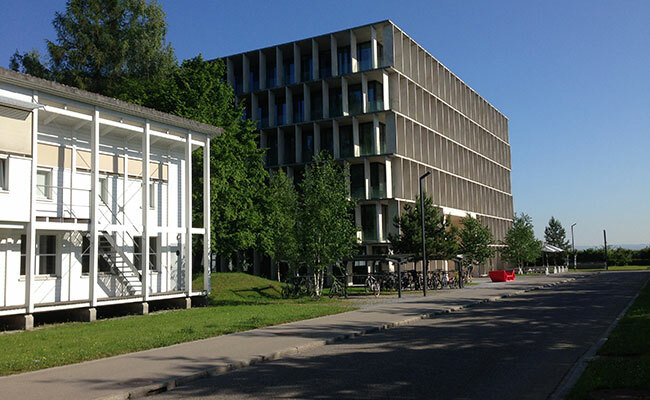 I recently completed my fifth year co-teaching the “Water Resources and Sustainability” intensive summer course offered by the ETH Swiss Federal Institute of Technology Zurich. 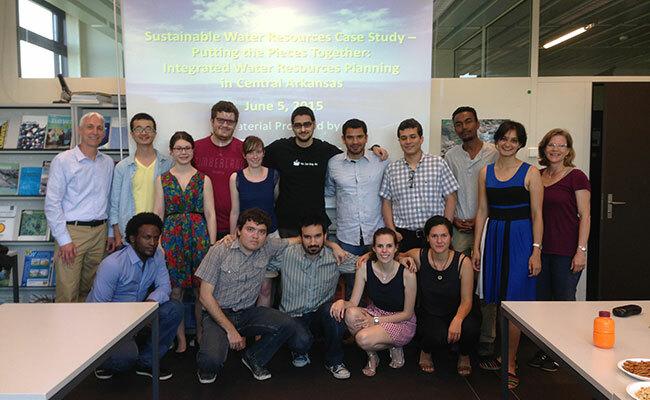 The course, which is part of the Master of Advanced Studies in Sustainable Water Resources offered by ETH Zurich’s Institute of Environmental Engineering, brings together a select set of students from around the world. This year students from nine countries learned from and interacted with a team of experienced staff from the university and private sector. This is always a highlight of my year, as I learn as much from the interaction with students and staff as they likely learn from me. Drawing on my work at Tetra Tech involving integrated water management, my role is to help students understand the importance of connecting water management to the broader economic, social, and environmental objectives of the communities and countries they may serve upon graduation. For many students who enter the program as specialists (engineers and scientists), this course offers the opportunity to participate in multi-disciplinary thinking and applications and stretch outside of their comfort zones. Students participate in hands-on exercises to examine comprehensive water management from diverse stakeholder perspectives, integrating science and engineering with policy and financial perspectives and approaches. By the end of the one-week course, students demonstrate their increased understanding through oral presentations within a simulated competitive proposal process to conduct regional, watershed-based, comprehensive water resources planning. Our reward as course instructors is to witness how conversant the students become in the concepts of integrated management and how energized they become by collaborative work with other students—vocabulary and experience they will need in their upcoming careers. Upon my return to the United States, I had the opportunity to engage with another group of future water resources professionals. I was asked to lead off a symposium on Integrated Water Planning in Urban Communities arranged by students in the Nicholas School of the Environment at Duke University. I was impressed both that the symposium was organized by the student body and also that the questions and dialog reflected the kind of thinking we need to enhance our approaches to environmental management. The first steps in implementing change are raising awareness and instilling desire to make the changes. I encourage others who seek to reconnect water management to the people—and to foster greater collaboration in addressing 21st Century challenges—to reach out to those young professionals who are entering the challenging field of water resources management to help them make a difference for us all. With his emphasis on “One Water," Mr. Clements has demonstrated to the students that an integrated approach, based on recovery and reuse as well as valuing ecosystem services, is the way of the future.